Thanks to online marketing, many companies believe that they don’t need direct mail marketing anymore. Sadly, that’s a myth, and some of the best and bigger brands have proved that. 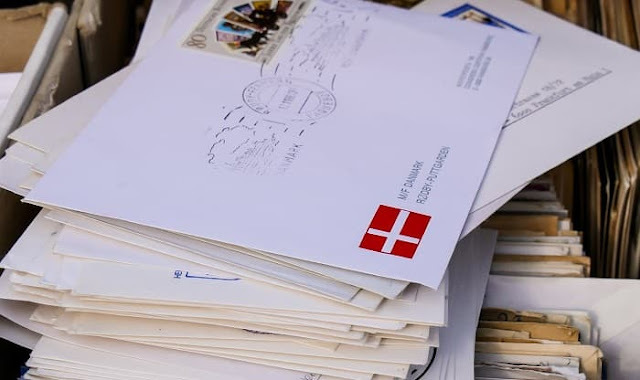 If used effectively and in the right context, personalised direct mail services can change the way people perceive a brand or sign up for services. Below, we bring five incredibly creative direct mail marketing campaigns that are worth taking note. DNA box from Jeep. Jeep’s motto for global clients has been an interesting one – ‘Go Anywhere, Do Anything’. In a bid to promote their Cherokee line, Jeep designed what can be called as the DNA box or a test kit. The kit reflects the spirit that this brand is known for. There’s a clock for ‘anytime’ and a compass for ‘anytime. There are also seven test tubes in the box, each of which promotes brand’s tagline referring to adventure, authenticity and freedom. When a direct mail marketing campaign is so effective and to the point, you would only expect great results, and for Jeep, it turned out that 76% of customers came up to test drive Cherokee. Candle box from Earth Hour. When you want to promote a cause, you should rather do it in style. That seems to the guiding line for Earth Hour, as the corporation sent out candle boxes in the most unique design. The front of the box resembled a building, and there’s a yellow candle in it. As you take the candle out, the box façade looks black, as if the lights were switched off. Cool right? Result was the company got 260% more support for the ‘switch off’ campaign. World Water Day. This is, by far, our favourite. To mark World Water Day, the corporation sent out direct mail messages to press members and targeted customers, which only could be read when held under water. While the idea is a fun one, it raised awareness for the cause and the new campaign was shared on all social media sites. Replica Recyclable Helmet from Smart. Smart was trying to promote its range of new e-bikes, and in a bid to achieve the same, they sent out direct mails to targeted customers involving a helmet that’s made from recycled cardboard. Customers just had to assemble it, and while it was fun, it promoted and encouraged cyclists to wear helmets. Misfortune cookies from Hell Pizza. Love the idea of fortune cookies? Well, Hell Pizza came up with ‘mis-fortune’ cookies as reverse idea. The cookies provided darker messages, and the concept was an instant hit, so much so that ‘mis-fortune’ cookies are now available in over 66 stores of the brand. Have you tried direct mail marketing yet?